THe fourth annual Little Feet Meet was held at Albemarle High School on Wednesday. ALBEMARLE COUNTY, Va. (WVIR) - Special Olympians enjoyed a fun day on the field in Albemarle County. 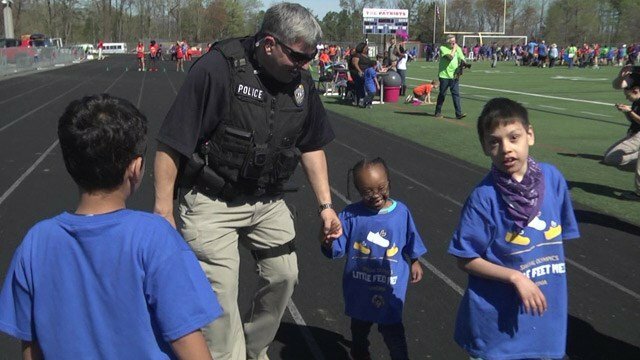 Wednesday marked the fourth annual Little Feet Meet at Albemarle High School. 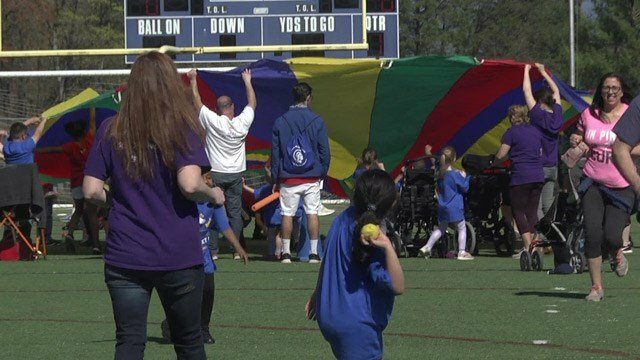 Preschool and Elementary School age children from Charlottesville and Albemarle competed in a series of track and field events including throwing challenges and a race. The meet is an opportunity for special education students in Albemarle to compete in a series of track and field events. Organizers say training and playing together are quick paths to friendship and understanding. High school students and volunteers helped run the events. Organizers say the meet is a great way for regular and special education students to interact.